The effect of −140 °C, 17-hour sub-zero treatment and subsequent tempering on the hardness, flexural strength, and fracture toughness of Cr-V ledeburitic steel was investigated. The main purpose was to highlight the role of microstructural alterations, such as a decrease of the retained austenite content, the quantitative parameters of carbide distributions, or others, due to applied treatments. Compared to conventional treatments, the applied sub-zero treatment improves the hardness of the material significantly within the whole range of tempering temperatures used. The hardness enhancement is in the range from 197 to 137 HV10 for tempering at 170 °C to 450 °C. The flexural strength is slightly improved at low tempering conditions up to 170 °C, while there is almost no effect of the sub-zero treatment on flexural strength for higher tempering temperatures. The fracture toughness is substantially improved (by about 3 MPa m1/2) in the untempered state as well as after high-temperature tempering. The fracture toughness is slightly worsened, by about 0.15 to 1 MPa m1/2, within the 170 °C to 450 °C range of tempering temperatures. These changes in fracture toughness are reached with a significant increase of hardness. This steel performance is associated with enhanced fracture surface roughness and an increased ductile microvoid coalescence micromechanism presence in fracture surfaces. The results also show that treatment at −140 °C leads to a greater enhancement of the complex of mechanical properties than can be obtained by soaking the samples in liquid nitrogen. Manuscript submitted February 12, 2018. The authors acknowledge that the paper is a result of experiments performed within project VEGA 1/0264/17. 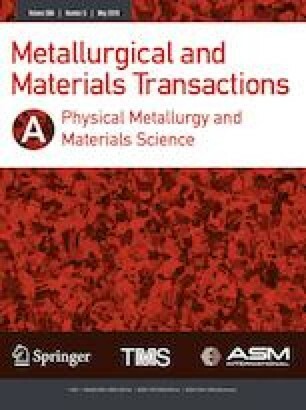 In addition, this publication is the result of the project implementation “Centre for Development and Application of Advanced Diagnostic Methods in Processing of Metallic and Non-Metallic Materials—APRODIMET,” ITMS: 26220120014, supported by the Research & Development Operational Programme funded by the ERDF. ASTM E112-10: Standard Test Methods for Determining Average Grain Size, ASTM International, West Conshohocken, PA, 2010, www.astm.org, https://doi.org/10.1520/e0112-10.